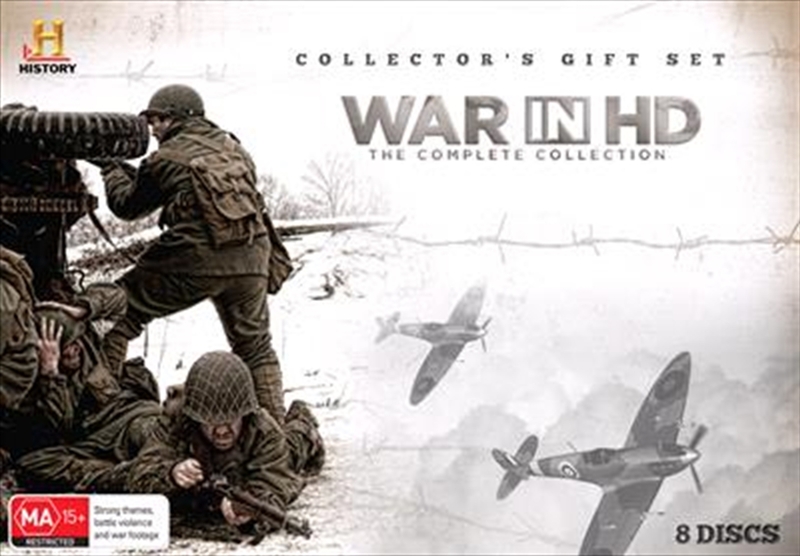 HISTORY proudly presents two of the most compelling military history programmes ever made in this comprehensive collection.Culled from rare colour film found during a painstaking worldwide search and converted to high definition with meticulous technique, WWII IN HD provides a portrait of World War II like never before. The first documentary to show original colour footage of World War II in immersive HD, this Emmy Award-winning series from HISTORY creates a personal, introspective and detailed look at life on and off the front lines. Follow 12 unforgettable Americans, and experience the war through their eyes, and in their own words, as their stirring journey is transformed into a tangible piece of history.A generation later, Americas collective national consciousness turned to a small strip of jungle in Indochina, as the United States found itself embroiled in perhaps the most divisive conflict in its history: the Vietnam War. VIETNAM IN HD, an epic six-hour miniseries, captures the sights, the sounds and the stories of this conflict through intimate and revealing interviews with 13 people who experienced the war first-hand. Rarely seen footage is combined with powerful storytelling to create an engrossing experience, separating the war from the warriors as never before.